The all-new 2019 Can-Am Ryker gets the Migos retouch. You don't have to say it thrice, the Migos magic number permeates everything they do - the latest of which sees the rap group partner with Can-Am motorcycles, a subdivision of Bombardier. Together they are launching the 2019 Can-Am Ryker three-wheel motorcycle, celebrating tripedal innovation in both the sectors that are represented in their partnership. 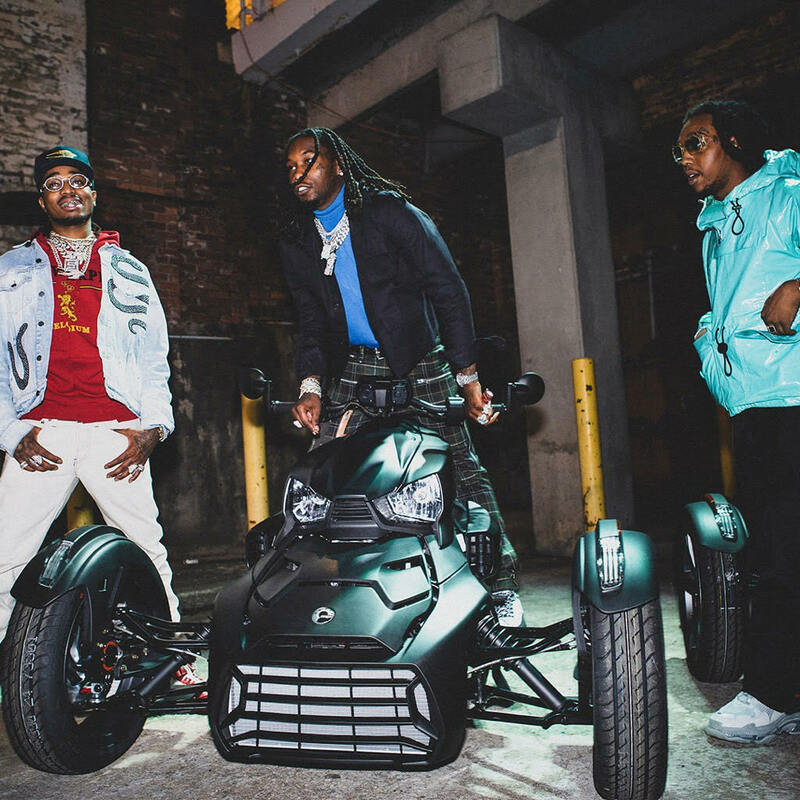 It's no secret that all three Migos's members are avid bike fans, as evidenced by the many automotive references they make in 2018's "Motorsport" with Cardi B and Nicki Minaj. "The Ryker is hard, that’s why we’re excited to team up with them," said Quavo when asked about the opportunity. "Can’t wait to get one of my own. Skrrt Skrrt!" To mark the new partnership, Can-Am built each Migos member a custom Ryker to match their personalities. On their end, Migos will be asked to attend Can-Am sponsored events as "brand ambassadors." They will also be tasked with developing their own nativist marketing campaigns on social media, in the promotion of Can-Am products, namely the limited edition Ryker bearing the group's name. Look for the Migos' Ryker to appear in forthcoming music video projects, as per their arrangement. Giants Reportedly Traded Odell Beckham Jr. For Being A "Pain In The A**"